We’ve not heard a great deal from senior figures in Tokyo’s political establishment about Australia’s decision to partner with France for the SEA 1000 project. That all changed this week when CSIS’s Japan Chair Michael Green hosted a high-level, cross-party coterie from the Japanese Diet. The group, which included two of Japan’s former Defence Ministers and one former Foreign Minister, convened for a chat on the next steps for US–Japan security cooperation —an engaging presentation on its own (1 hour 24 minutes). But what’s more compelling for Australian viewers is a Q&A exchange near the end of the event. See here  for the question on our submarine decision, and hang tight for the (translated) smackdown answer that follows. Dan Drezner’s latest  includes a tasty morsel on the unseen 2011 tussle between Hillary Clinton and Tom Donilon as they sought to claim parentage of America’s new-and-improved Asia policy—the policy formally known as the pivot. Drezner then introduces a game that everyone can play at home: coining your own foreign policy doctrine. All you need is an adjective and a noun, with a ‘neo’ added to taste. Et voilà. Donald J. Trump’s emergence as presumptive victor  in the Republican Party’s primary battle marked the denouement of a brutal and bruising period for the GOP. In response, a stunned commentariat has swiftly shifted gears to more urgently consider what Trump would mean for republicanism, conservatism, democracy, executive government, and America at home and abroad. The Atlantic ran David Frum asking ‘where to next for the GOP?’ , and Molly Ball on the day the Party was changed forever . In The New York Times, Ross Douthat pondered the trumping of true conservatism , and Evan Thomas called on the foreign policy elite to step up . This piece  in New York magazine couches President Trump as an ‘extinction-level event’(!) for democracy, begetting tyranny. Some argue that the demographics aren’t on Trump’s side ; others are pulling back the curtain on what President Trump’s first 100 days  at 1400 Pennsylvania Avenue might look like. FiveThirtyEight’s Nate Silver has a useful reflection  on how The Donald racked up the votes to wrap up the nomination. Keeping one eye trained on Politifact’s Trump file  probably isn’t a bad idea as we move to and through July’s GOP convention in Cleveland. Hold onto your hats. Indian Prime Minister Narendra Modi has become a darling of the West since his elevation to the top job in May 2014. Barack Obama even profiled  Modi for Time’s Influential People issue last year, which could be seen as an incredible about-face—Modi had been banned from the US for the preceding decade for ‘severe violations of religious freedom’ . A long-read feature from The New Republic takes a different tone to much of the commentary we’ve consumed on Modi, drawing on darkness to paint Modi as India’s ‘silent, lonely, aloof, admired, and unloved leader’ —the ‘anti-Gandhi’. Lifelong learning is something we can get behind here at The Strategist, so we were keen to see the launch of Brookings 101 , a series of educational courses out from the famed DC think tank. There are four offerings so far, covering off US government debt, the Islamic State, Primaries and Politics 101 and Vladimir Putin 101. Get swotting—there’ll be a test later. Two foreign policy caffeine hits for your weekend: first, a dive into the uninspired, risk-and-narrative-adverse world of NATO speechwriting ; second, fresh from The New York Times Magazine comes an engrossing profile  on Obama’s foreign policy point man, Ben Rhodes. Finally, the Stimson Centre is running an international student essay competition  to encourage new thinking on non-proliferation of weapons of mass-destruction, in support of UNSC1540 . Up for grabs is a trip to Cambridge, Massachusetts, some cash and the chance to be published by Stimson. In Episode Two of the US State Department’s podcast, the Historian of the State Department, Stephen Randolf, talks through the history of US ambassadors  (23 mins). This related podcast on diplomatic immunity  is an older effort from the always-entertaining How Stuff Works team (41 mins). Special Relationship  is a shiny new podcast jointly-presented by British title The Economist and American ‘new media’ outfit Mic, focusing on issues and themes of the US presidential race. The first episode covers off terrorism and national security . We suspect that it’ll fast become a must-listen. The 2001 documentary First Kill is a sobering journey through the horrors of the Vietnam War and the challenges faced by vets upon their return to the US as they scrambled to process what they’d seen and done. 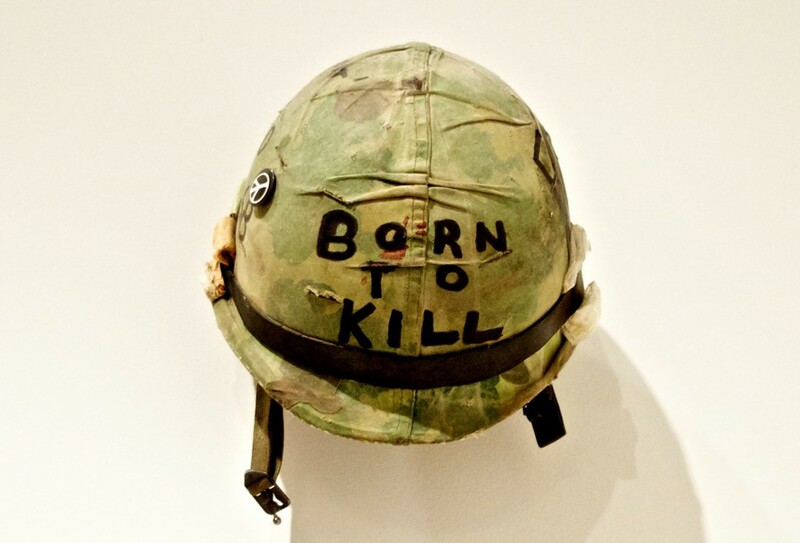 War correspondents are also called on for their testimony, one of whom is Michael Herr, the author of Dispatches  and a screenwriter for Kubrick’s Full Metal Jacket. The full doco is up on YouTube  (1 hour 13 minutes). Canberra: Don’t miss the ANU’s Amin Saikal and Georgetown’s Cynthia P. Schneider in conversation with Mark Kenny on US Middle East policy under President Obama and the avenues that remain open to his successor. Here’s what you need to know  about the 10 May event. The AIIA’s ACT Branch has teamed up with the ANU’s Coral Bell School to pull together a strong panel to explore Myanmar’s political transition following the country’s historic November 2015 elections. Mark your calendar for 11 May, and register online  for this free event. Sydney: Head to the University of Sydney Law School on 17 May  to hear a discussion about how climate change and renewable energy policy is developing in China. David Lang is an analyst at ASPI and managing editor of The Strategist.